Building wealth can be one of the most exciting and rewarding undertakings in a person's life. Aside from providing a more comfortable day-to-day experience, a substantial net worth can reduce stress and anxiety as it frees you from worrying about putting food on the table or being able to pay your bills. For some, that alone is enough motivation to start the financial journey. For others, it's more like a game; the passion beginning when they receive their first dividend check from a stock they own, interest deposit from a bond they acquired, or rent check from a tenant living in their property. 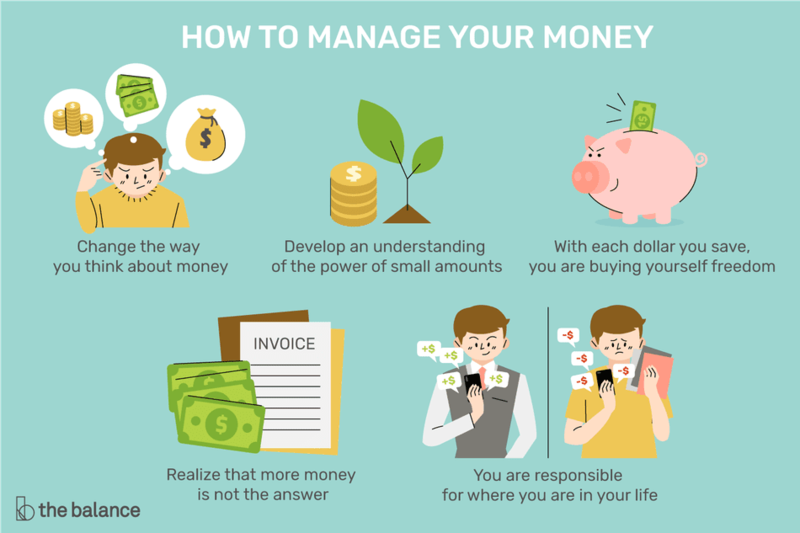 While the thousands of articles I've written over the years are geared toward helping you learn how to become wealthy, I wanted focus on the philosophical aspect of the task by sharing with you five truths that can help you better understand the nature of the challenge you face as you set to the task of accumulating surplus capital. The general population has a love/hate relationship with wealth. Some resent those who have money while simultaneously hoping for it themselves. Yet, absent some fairly specific exceptions, in a prosperous and free society, the reason a vast majority of people never accumulate a substantial nest egg is that they don't understand the nature of money or how it works. This is, in part, one of the reasons that the children and grandchildren of the wealthy have a so-called "glass floor" beneath them. They are gifted knowledge and networks that allow them to make better long-term decisions without even realizing it. A fascinating example comes from the field of behavioral economics and involves first-generation college graduates accumulating lower levels of net worth for every dollar in salary income due to not knowing about basic concepts such as how to take advantage of 401(k) matching. The bigger principle here is that capital, like a person, is a living thing. When you wake up in the morning and go to work, you are selling a product - yourself (or more specifically, your labor). When you realize that every morning your assets wake up and have the same potential to work as you do, you unlock a powerful key in your life. Each dollar you save is like an employee. Over the course of time, the goal is to make your employees work hard, and eventually, they will make enough money to hire more workers (cash). When you have become truly successful, you no longer have to sell your own labor, but can live off of the labor of your assets. In my own life, my entire career has been built on getting out of bed in the morning and trying to create or acquire cash-generating assets that will produce more and more funds for me to redeploy into other investments. The biggest mistake most people make when trying to figure out how to get wealthy is that they think they have to start with an entire Napoleon-like army of funds at their disposal. They suffer from the "not enough" mentality; namely that if they aren't making $1,000 or $5,000 investments at a time, they will never become rich. What these people don't realize is that entire armies are built one soldier at a time; so too is their financial arsenal. A family member of mine once knew a woman who worked as a dishwasher and made her purses out of used liquid detergent bottles. This woman invested and saved everything she had despite it never being more than a few dollars at a time. Now, her portfolio is worth millions upon millions of dollars, all of which was built upon small investments. I am not suggesting you become that frugal, but the lesson is still a valuable one. That lesson: Do not despise the day of small beginnings! When you put it in these terms, you see how spending $20 here and $40 there can make a huge difference in the long run. Given that money has the ability to work in your place, the more of it you employ, the faster and larger it has a chance to grow. Along with more money comes more freedom - the freedom to stay home with your kids, the freedom to retire and travel around the world, or the freedom to quit your job. If you have any source of income, it is possible for you to start building wealth today. It may only be $5 or $10 at a time, but each of those investments is a stone in the foundation of your financial freedom. Years ago, a friend told me she didn't want to invest in stocks because she "didn't want to wait ten years to be rich..." she would rather enjoy her money now. The folly with this type of thinking is that the odds are, you are going to be alive in ten years. The question is whether or not you will be better off when you arrive there. Where you are right now is the sum total of the decisions you have made in the past. Why not set the stage for your life in the future right now? These aren't empty feel-good words or admonishments. I'm going to repeat it again: Where you are right now is the sum total of the decisions you have made in the past. Your life reflects how you spend your time and your money. Those two inputs are your destiny. One of the big intellectual and emotional hangups people seem to have when they aren't exposed to wealth or wealthy families is making the connection between productive assets and their everyday life. They don't understand, on a visceral level, that if they own shares of a company such as Diageo, every time someone takes a drink of Johnnie Walker or Captain Morgan, a portion of that money is making its way back to the corporate coffers for ultimate distribution to them in the form of a dividend. They don't truly understand that if they stand outside the gates at Disneyland and watch people walk into the park if they own The Walt Disney Company, they enjoy their share of any profits generated from those guests. Rich men and women have a habit of using a disproportionate percentage of their income to acquire productive assets that cause their friends, family members, colleagues, and fellow citizens to constantly shovel money into their pockets. Consider, as you read this, that you've probably never met me. Yet, if you've ever eaten a Hershey's bar or Reese's peanut butter cup, you've indirectly sent me real cash. If you've ever taken a sip of a Coca-Cola or eaten a Big Mac, you've indirectly sent me real cash. If you've ever taken out a student loan or borrowed money to buy a house from a bank like Wells Fargo, you've indirectly sent me real cash. If you've ever ordered a cup of coffee at Starbucks, you've indirectly sent me real cash. If you've ever purchased Colgate toothpaste or used Listerine mouthwash, swiped a Visa or MasterCard or filled up your car with gasoline from an Exxon Mobil station, you've indirectly sent me real cash. I wasn't gifted those ownership stakes. I didn't inherit those ownership stakes. I started with nothing and made a decision that my highest, and first, financial priority was to acquire ownership of productive assets early in life. It was a matter of priorities. By respecting every dollar that flowed through my hands, and making a conscious, informed decision about how I wanted to put it to work, the miracle of compounding did the heavy lifting. When you understand this, you understand that in societies such as the United States where the trend for several centuries has been lower and lower rates of millionaires and billionaires being made up of first-generation, self-made rich, building wealth is often the by-product of behavioral patterns that are conducive to building wealth. It's basic mathematics. Replicate the behavior and net worth tends to accumulate. A very wise investor once said to pick the traits you admire and dislike the most about your heroes, then do everything in your power to develop the traits you like and reject the ones you don't. Mold yourself into who you want to become. You'll find that by investing in yourself first, money will begin to flow into your life. Success and wealth beget success and wealth. You have to purchase your way into that cycle, and you do so by building your army one soldier at a time and putting your money to work for you. More money is not going to solve your problem. Money is a magnifying glass; it will accelerate and bring to light your true habits. If you are not capable of handling a job paying $18,000 a year, the worst possible thing that could happen to you is for you to earn six figures. It would destroy you. I have met too many people earning $100,000 a year who are living from paycheck to paycheck and don't understand why it is happening. The problem isn't the size of their checkbook, it is the way in which they were taught to use money. The definition of insanity is doing the same thing over and over again and expecting a different result. If your parents were not living the life you want to live then don't do what they did! You must break away from the mentality of past generations if you want to have a different lifestyle than they had. To achieve the financial freedom and success that your family may or may not have had, you have to do two things. First, make a firm commitment to get out of debt. To find out which debts should be paid off before you invest and those that are acceptable, read Pay Off Your Debt or Invest?. Second, make saving and investing the highest financial priority in your life; one technique is to pay yourself first. Purchasing equity is vital to your financial success as an individual whether you are in need of cash income or desire long-term appreciation in stock value. Nowhere else can your money do as much for you as when you use it to invest in a business that has wonderful long-term prospects. The miracle of life is that it doesn't matter so much where you are, it matters where you are going. Once you have made the choice to take control back of your life by building up your net worth, don't give a second thought to the "what ifs". Every moment that goes by, you are growing closer and closer to your ultimate goal - control and freedom. Every dollar that passes through your hands is a seed to your financial future. Rest assured, if you are diligent and responsible, financial prosperity is an inevitability. The day will come when you make your last payment on your car, your house, or whatever else it is you owe. Until then, enjoy the process. This article is part of our How to Get Rich guide for new investors. For more information on how to take control of your finances, generate passive income, control your debt, and become financially independent, read How to Get Rich - A Guide to Getting Rich.